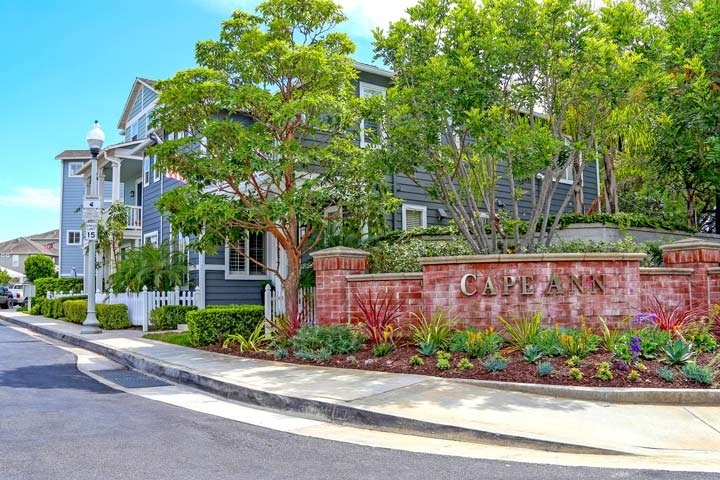 Cape Ann homes are located in the West Huntington Beach area of Huntington Beach, California. The Cape Ann community was first built in 1999 and features three to four bedroom floor plans that range in size from 1,300 to 1,800 square feet. The condos located here qualify under the Huntington Beach Inclusionary Housing Program which offers quality homes for lower income residents. Real Estate prices in the Cape Ann community are typically some of the lowest priced condos in the area due to this housing program. Below are the current Cape Ann homes for sale and for lease in Huntington Beach. Please contact us at 888-990-7111 with questions regarding this community and any of the homes listed for sale here. To reach the homeowners association please call 714-357-9111 with any association related questions.